A dream I had from many years ago was the inspiration for my teen two-book fantasy series, The Rebels Duet. In the dream, there was a family of alien humanoid people traveling on a spaceship to earth. The family was composed of a mother and many children (in my novel, I honed the number down to two), all with alabaster-white skin and white hair. They were coming to our planet to help and wake up the inhabitants. It was just a snippet of a dream. 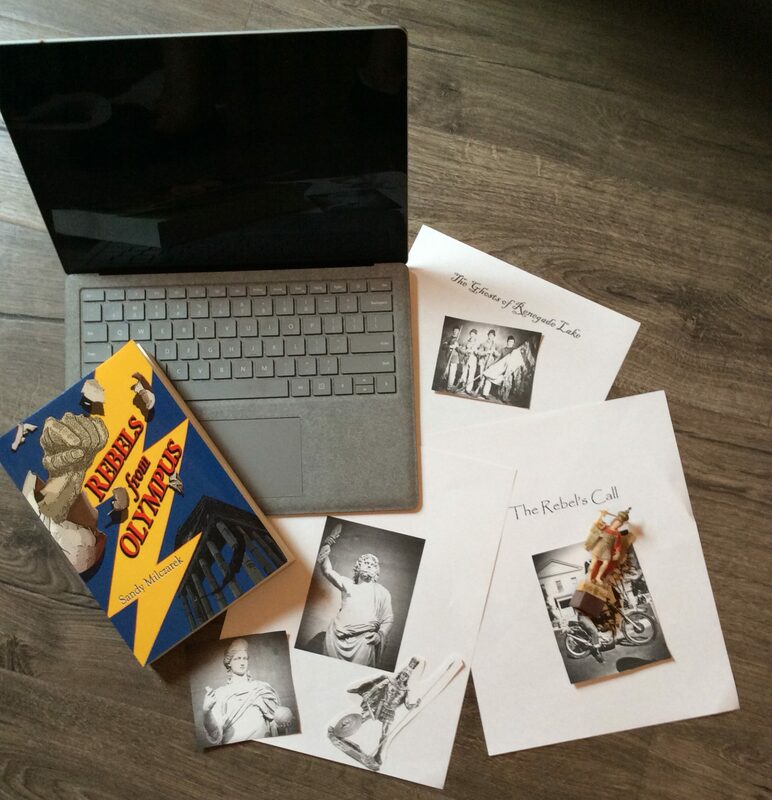 My imagination took off with it, transforming the aliens into Roman gods and goddesses, and without any intention to write a teen novel, I began plotting the story and creating characters who took on lives of their own. I knew it would be a two-book series. I had been taught in writing workshops that to capture the essence of a novel, even before a word is written, was to come up with one word that captures the heart, the essence of your story. The one-word description of Rebels from Olympus was identity. My second novel, The Rebel’s Call, was purpose. That captures the essence of the teenaged years. Teenagers are Seekers by nature. Trying on different personas, experiences, to experiment with who they want to be when they grow up. However, in my series, I add in the spiritual dimension to the Seeker of identity and purpose. Many kids are being raised in a spiritual void – parents are either just not interested, too busy, too overloaded with keeping up with the hottest trends and tech. Who has time to invest in the spiritual? It probably doesn’t exist. Let me be clear here – I don’t identify with any religion or spiritual practice in my series. My scope is so wide that I also include extra terrestrial beings, Roman gods and goddesses, a Hindu state of being embodied in an avatar, disgruntled nature spirits, angels and others as helpers to the human race. I speak of a Creator, the One Great God, but the rest is left up to the reader. The plot inspires my protagonist, Justus Appleyard, to investigate his inner urge of just what all of this spiritual hoopla is and how does it fit into life. There are many questions – appropriately so for the Seeker. Partway through Rebels from Olympus, Justus learns that he is a demi-god. His mother had unknowingly married Mars, the Roman God of War, which then produced first Justus and then his sister, Rosa, three years later. What does a kid do with that kind of information? Especially once he’s told that he had a specific destiny to fulfill in his future. He’s just a skinny, too-tall kid who’s angry at the world, including his mother, and especially his father, who abandoned the family when Justus was three, as well as most of the people in his life. Talk about an identity crisis, especially when he notices that his body was beginning to express signs of physical superpowers of strength and speed. Holy crap! In The Rebel’s Call, three years after the events in Rebels from Olympus, Justus puzzles over how the spiritual fits into his life. He sorts through his questions in conversations with his mother and his paternal grandmother, Juno, the Queen of the Gods. Does he come to conclusions? Let’s leave it to say that the Seeker within him is wide awake and ready to explore how life answers his questions. The Rebels Duet series is filled with high adventure as Justus and Rosa encounter evil while it schemes to rob the individual of unique talents, potential and even destiny.